I would contact him and let him know. He won’t likely see it here. A CH2 two band is, indeed, a worthy standard for comparison. I quite like my Chubby. (05-27-2018, 09:57 AM)WegianWarrior Wrote: Ah. Possible caused by a hole that was a little too tight for the knot. And once seen, it can't be unseen. I contacted Scott at Declaration Grooming. He responded immediately. He is an excellent communicator. "The knot itself is slightly twisted. That’s an (unfortunate) commonality among many of my knots that, despite my best efforts, and years of experimentation, I haven’t quite worked out. I have a certain visual threshold that I rely on (below the threshold/too twisted and/or asymmetrical and the knot gets set aside as a B-stock). As this does not negatively impact performance except in the most extreme cases (which do not leave this building), I consider them within tolerance for a handmade product, in which there will always be variation. The way that I construct my knots is different than the methods used by Simpson, M&F, and every Chinese knot I’ve ever seen (I had to develop the method myself and focused my efforts on longevity and performance [i.e. durability and minimal shedding] rather than perfect symmetry or alignment)." I thought this was a very reasonable response. 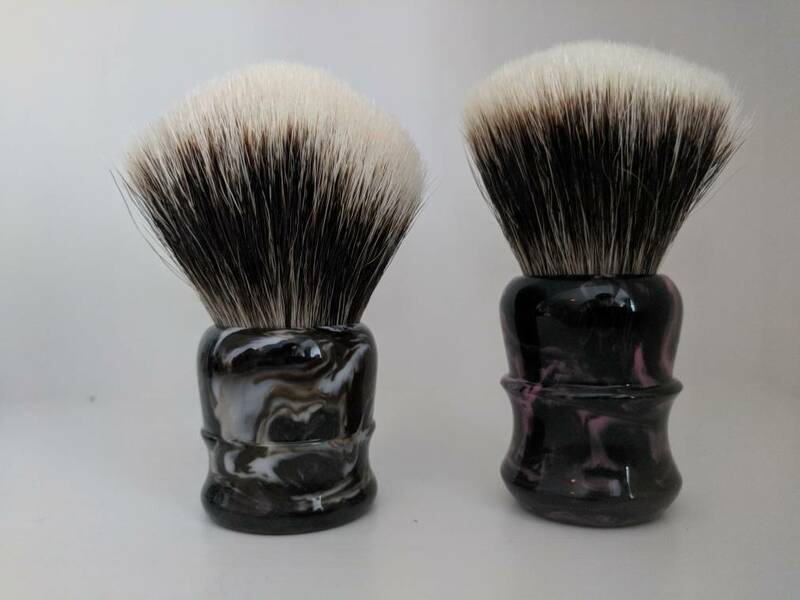 He did offer recourse, but I do not think I am going to take any, as this brush performs with the best of my best and if I look at it as a "hand-made" product, I become more tolerant of this slight imperfection. Kudos to Scott for his customer service. Primo, your reaction is classy. Well done. (05-27-2018, 08:04 PM)pbrmhl Wrote: Primo, your reaction is classy. Well done. I appreciate that comment sir. Besides, when this brush is saturated with my favorite soap, you can't tell at all! (05-27-2018, 04:38 PM)primotenore Wrote: I contacted Scott at Declaration Grooming. He responded immediately. He is an excellent communicator. That, Primo, is the type of rcomment and decision worthy of praise and becoming less and less common among our leaders and society as a whole. I really was impressed. You'd get my vote. One on e bay for 700+ dollars. I had a 30mm B2 Franklin with a beautiful blue handle that I sold for $185!!!! I saw that auction too. Guess Declaration has reached Wiborg status, maybe surpassed it. Good thing is they are easier to find than a Wiborg. I think the reason why that one went for so much was it’s number. For a collector that is a big deal. 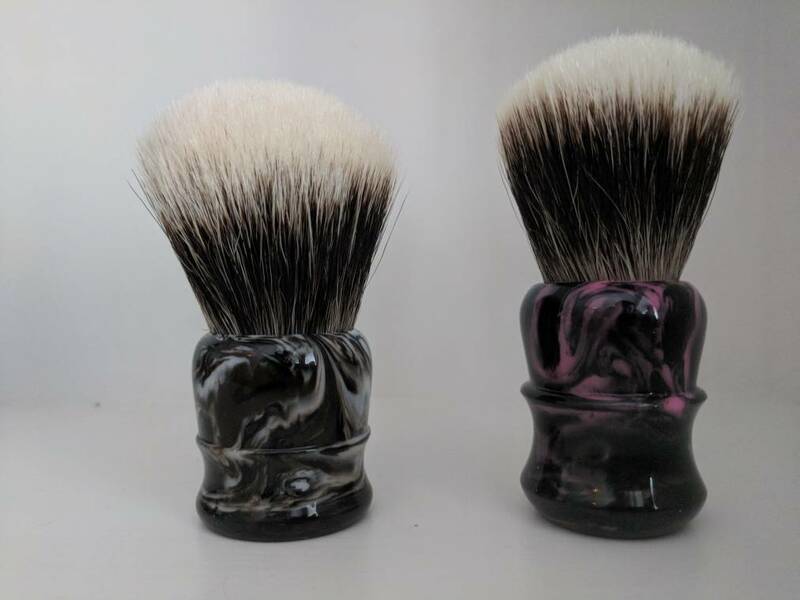 That B1 auction was for charity, and sold by Scott Stewart who is the owner of Declaration Brushworks. All proceeds went to charity. 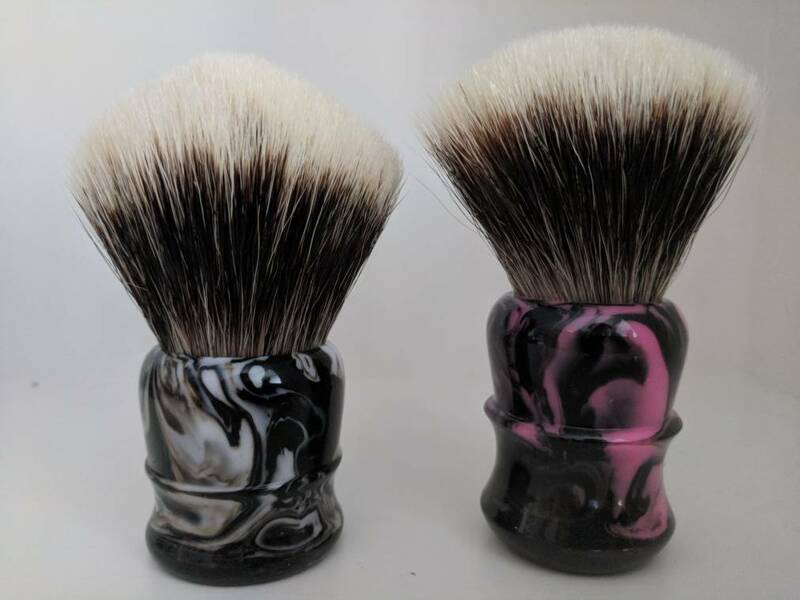 I own several Declaration brushes, and the most I've paid was $300 for a one of a kind 28mm brush. I also own several Simpson brushes, but sadly I've paid a LOT more than $300 for almost all of them. 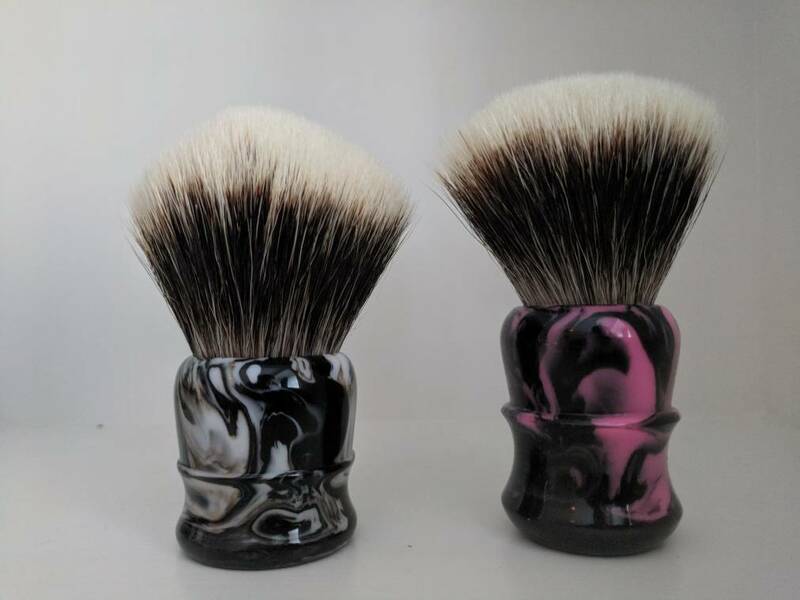 The point is that value for product is subjective and entirely up to the person purchasing the brush. I've owned every iteration of knot that Scott has released and they have all been worth the asking price. Believe the hype, because in my opinion Declaration Brushes are worth the asking price. 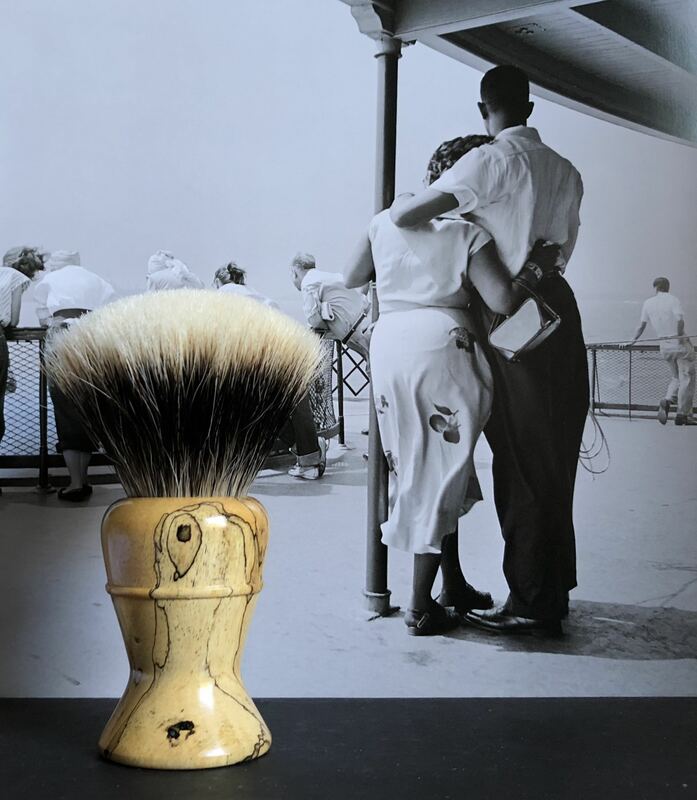 (05-26-2018, 01:03 PM)OnaBlueCloud Wrote: Two Dogwood Handcrafts brushes with Declaration Grooming B5 knots. 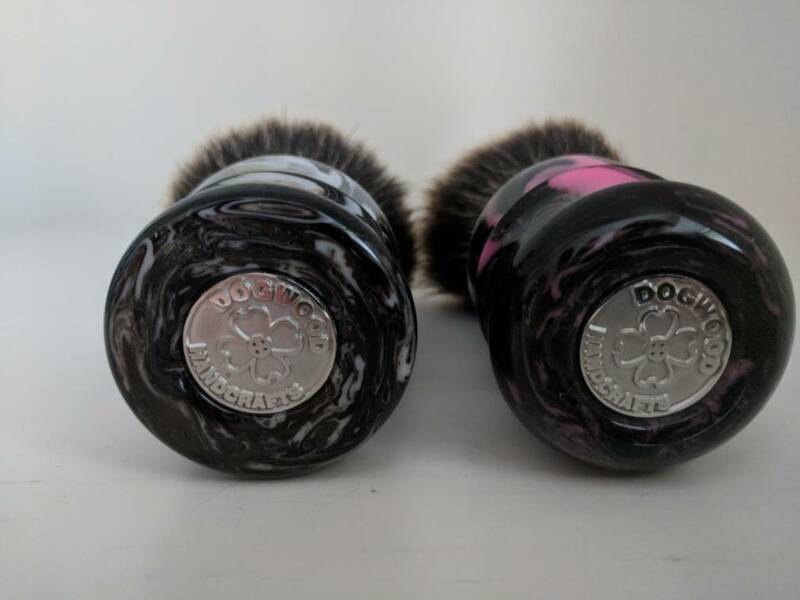 30mm custom "Olive" (colors inspired from our first dog) on left and 26mm "Black Rose" from Dogwood Handcrafts first brush drop. (06-06-2018, 02:47 AM)Rufus Wrote: Price is what you pay, value is what you get. I know the post is old, but just had to say that your comment is spot on. My late dad used to say "As time passes people forget what they paid, but quality never fades, and is always remembered". Does the current batch bloom like the B5 above? It would be a 24mm. (11-07-2018, 04:00 PM)Sevenbark Wrote: Does the current batch bloom like the B5 above? It would be a 24mm. I don’t have the B5, but I have B4 and B6, both in 24mm. The B6 is a lot more scritchy, and has a lot more backbone, than the B4. They’ve both bloomed beautifully, and I enjoy them both a great deal. (05-08-2018, 04:37 PM)discerningbev Wrote: Are all the Declaration knots fan knots? 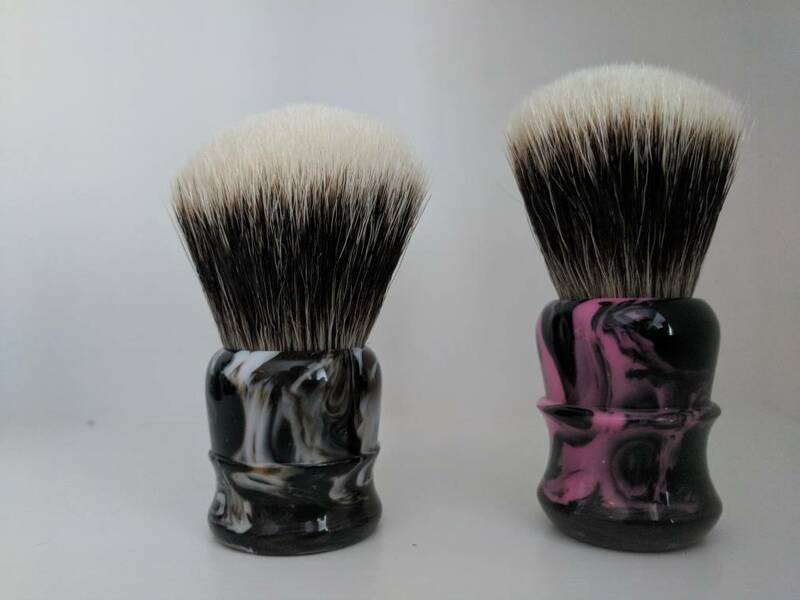 Those are very classy, beautiful brushes. I just put a handle in the mail myself.